This has to the ultimate ideal gift for honeymooners. A set of Mr & Mrs luggage tags. Makes a really quirky gift for the newly married couple. We cannot guarantee it will get you an upgrade, but you never know! 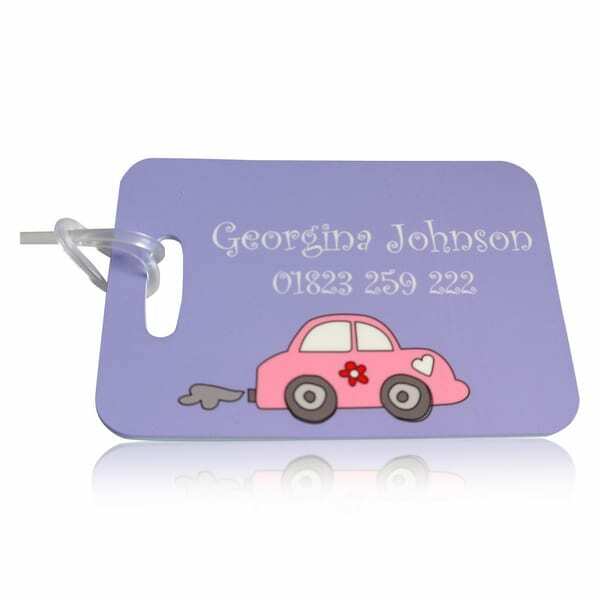 Our Mr & Mrs luggage tags are sold in set of 2, 4 or 6 tags. And naturally as you would expect, they are personalised with the surname of the new couple. You may wish to add the date of the wedding at no additional charge. No more excuses for forgetting the wedding anniversary. 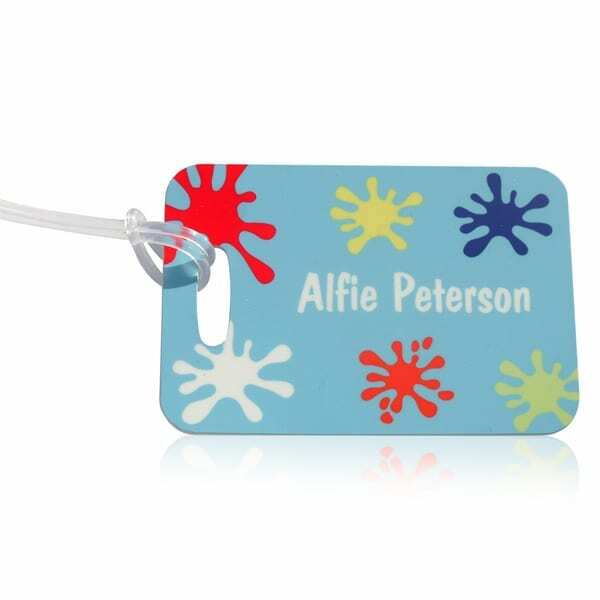 Our durable luggage tags are available in a choice of colours and are decorated with a heart and swirl, which complete these Mr & Mrs bag tags. Travel luggage tags not only enable you to spot your suitcases, but they also help to ensure your bag is not taken by someone else. After all when tired from a long flight all cases can look the same. And no one wants to start the holiday without the correct belongings. 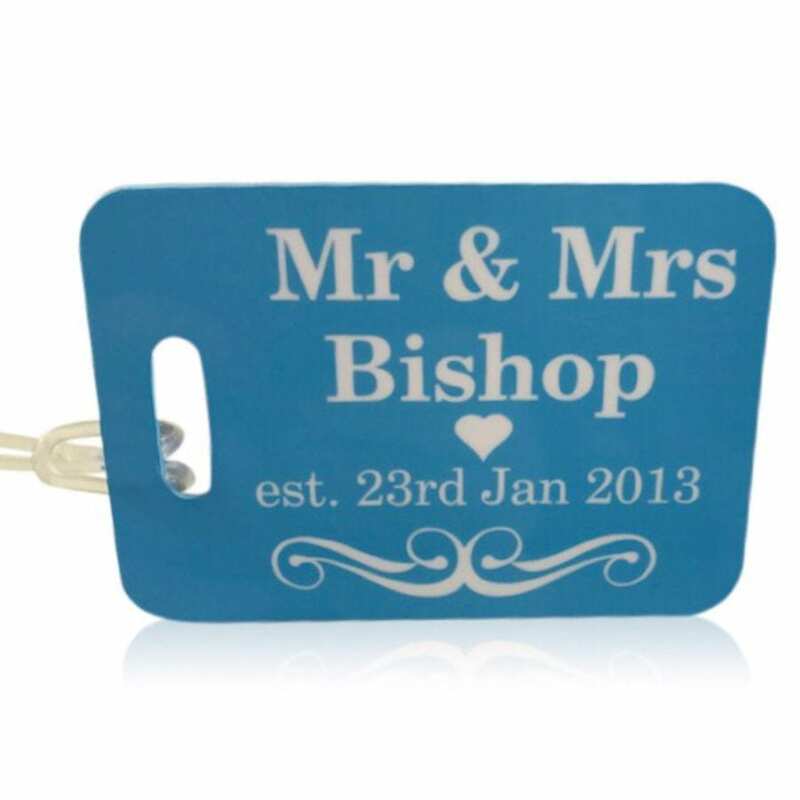 Our Mr and Mrs luggage tags measure 100 mm x 70 mm and are rectangular in shape. They are made from a super strong solid plastic, so you need not worry about tags tearing off from the case. Tag are supplied with a loop attachment for securing to cases. Travel luggage tags are printed on both sides, using the latest printing methods, which give an excellent high gloss finish. 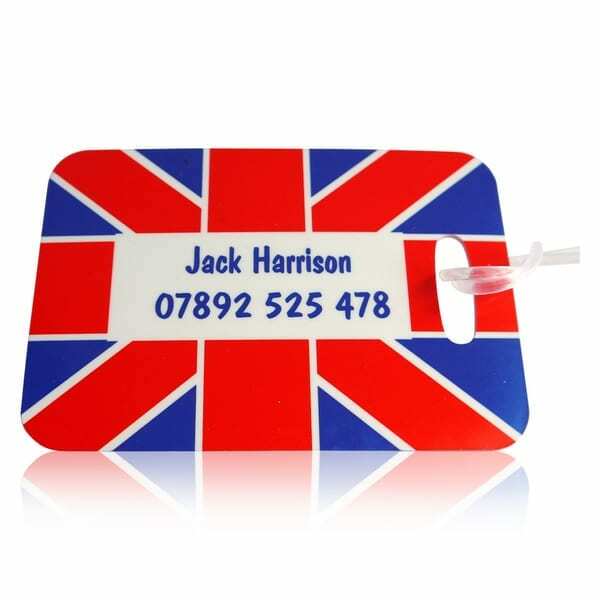 This ensures your personalised honeymoon luggage tags are waterproof and scratch resistant.